Please keep your eyes open for an Evite and remember to RSVP. 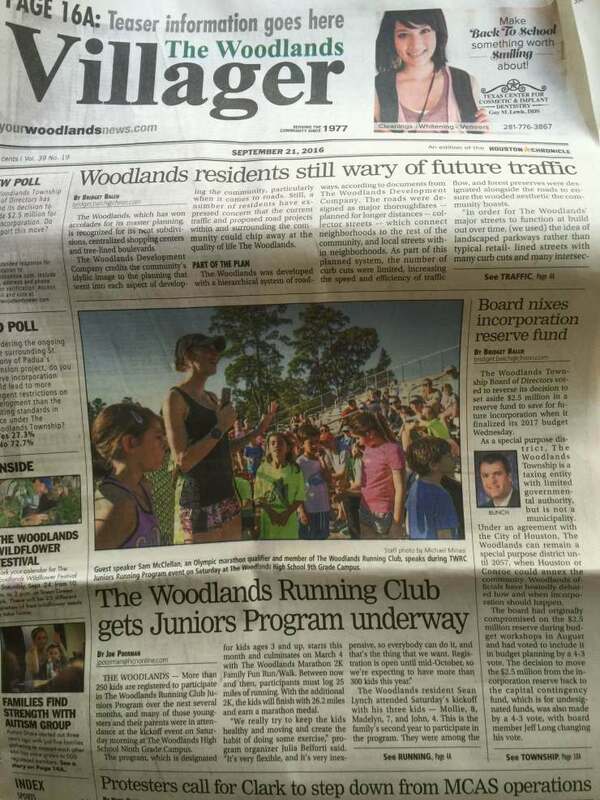 TWRC Junior's program is in the paper! Big Congrats to all the Juniors and the Junior's program organizers Julia & Gabriel Belforti! CASA Child Advocates of Montgomery County is hosting the 7th Annual CASA Superhero Run (10K, 5K Trail Run & 1K Fun Run) through W.G. Jones State Forest on Saturday, October 1st. 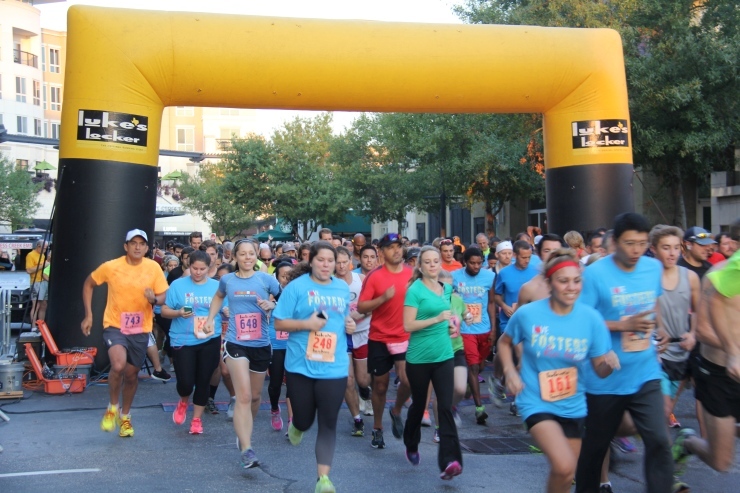 WHY: CASA Child Advocates of Montgomery County, in partnership with The Woodlands Christian Academy and the Texas A&M Forest Service, is hosting the 7th Annual CASA Superhero Run (10K, 5K Trail Run & 1K Fun Run) through W.G. Breakfast served by Tommy Bahama's and Medals presented to top 3 place winners in age brackets. Fun games and activities for children - children may wear costumes. Raffle prizes for adults - no cost to enter. All proceeds benefit foster kids. The Spa Girl Tri - Woodlands will take place on Saturday, October 1st at the Woodlands Resort! Over 1,000 women will take on this sprint tri in and around the beautiful Woodlands Resort and surrounding area. We are so excited for our inaugural event there! To support our women as they swim, bike and run, we are looking for some awesome volunteers who can assist us in service. 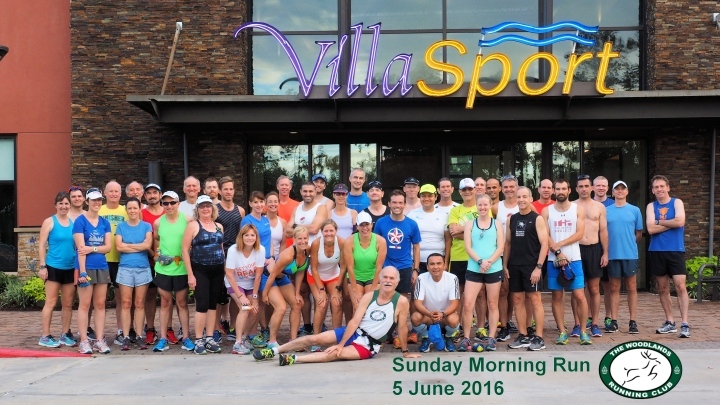 Volunteers need to be at the resort by 6am on Saturday and will be finished by 11am- with everyone invited to our post-race party with great food and celebration after they finish volunteering! Congrats to long time TWRC member Jim Braden, 81, of the Woodlands. Jim is one of just 10 Finalists for the cover of the December 2016 Runner's World magazine! 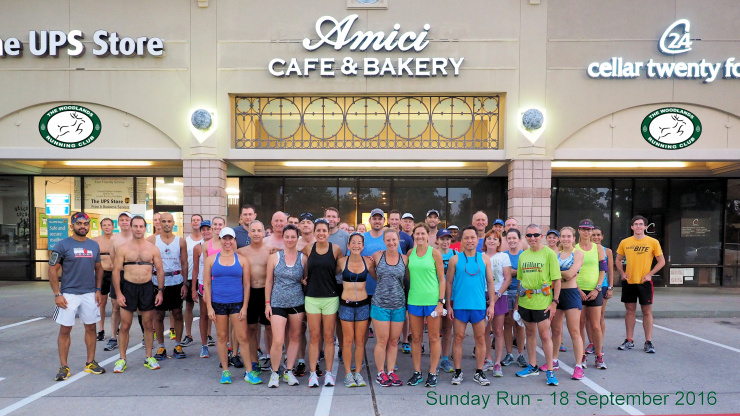 UPDATED Ronnie Delzer, will attempt to break the record for “Greatest Distance Run in 12 Hours on a Treadmill” on Saturday, August 20, at Luke’s Locker in The Woodlands, Texas. Last Saturday, The Woodlands' Ronnie Delzer, 34, broke the Guinness World Record for the furthest distance run on a treadmill in 12 hours. Ronnie logged a record 89.38 miles in 12 hours on the treadmill at Luke's Locker in The Woodlands. 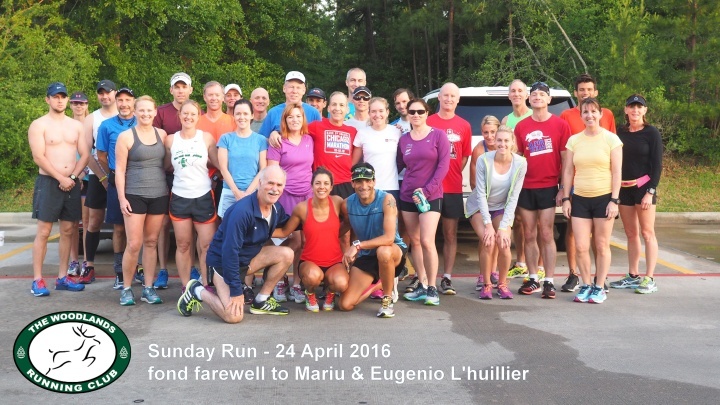 The previous record of 86.49 miles was set on Memorial Day weekend by Canadian David Proctor. There was also a local connection to that run. Katy's Calum Neff ran on a treadmill as part of a 12 man team that set a record for the furthest distance in 24 hours by a male team. Hot but not as hot as last weekend! Luke's Locker is kicking off Summer with a Summer Bash! 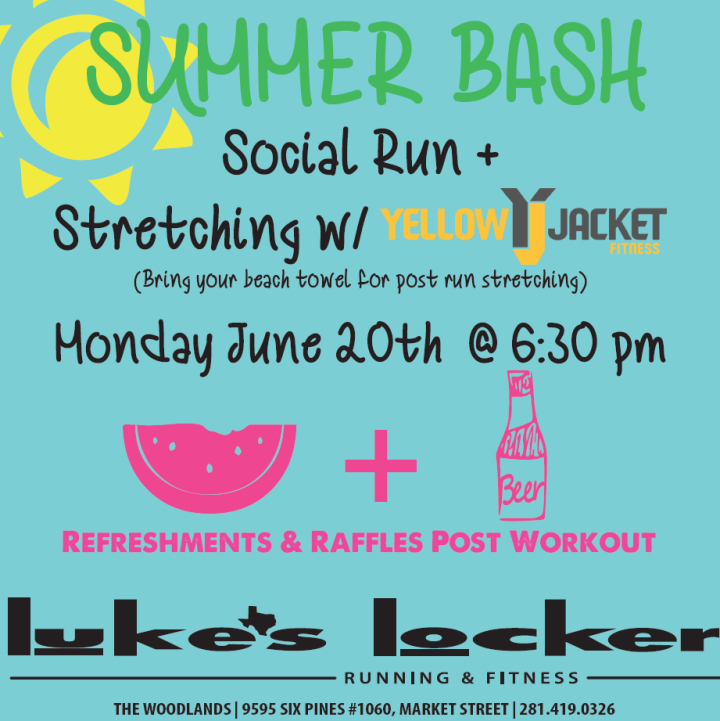 Join us Monday, June 20th at 6:30 pm for a social run/walk followed by stretching with Yellow Jacket Fitness! Break out your sunscreen for the run and bring your beach towel for post run/walk stretching. Be sure to stick around for raffles and cool off with a cold beer and fresh watermelon. Come join us for the TWRC Membership Drive Social on 6/26/2016 at Rico's Grill - Alden Bridge from 4:00 - 6:00 pm. We are planning to have several prizes to raffle. Another GREAT Villa run. Thanks to all that came out! ** Guest registration is required. IF you have not visited VillaSport as a guest, we need to expedite the check-in process by having guests register in advance by visiting http://villasport.com/tw/guest. Only one registration per family is required. Photo ID is needed for guests 18 and older. Guests under 18 (“minors”) must be accompanied by an adult. 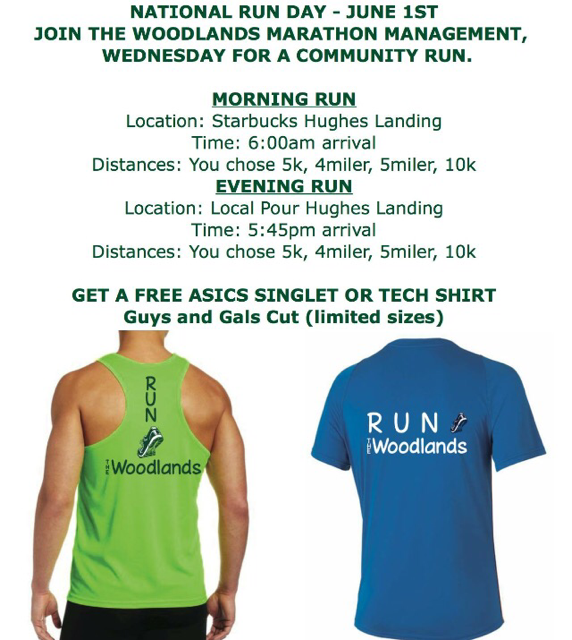 49 days, 5 hours, 40 minutes since The Woodlands Marathon.